Actor Tanushree Dutta has accused Patekar of sexual misconduct on the sets of the film "Horn Ok Pleassss" in 2008. 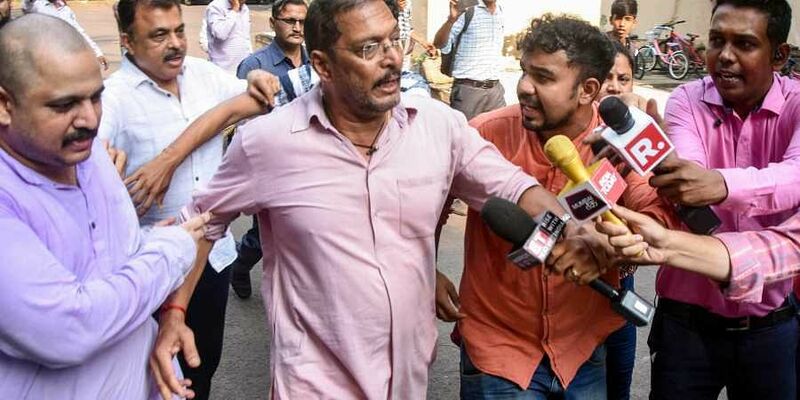 MUMBAI: Amid allegations of sexual harassment against him, actor Nana Patekar Friday distanced himself from Housefull 4, saying he did not want to cause inconvenience to the people involved with the project. The development came hours after Housefull 4 director Sajid Khan stepped aside following allegations of sexual harassment. "Nanasaheb do not want any inconvenience caused to anyone and hence in the backdrop of false accusations levelled against him he thought it fit to distance himself with the ongoing project of 'Housefull 4'," Malhar, son of Patekar, said in a statement issued here. She has filed a case of sexual harassment against Patekar, choreographer Ganesh Acharya, producer Samee Siddiqui and director Rakesh Sarang.